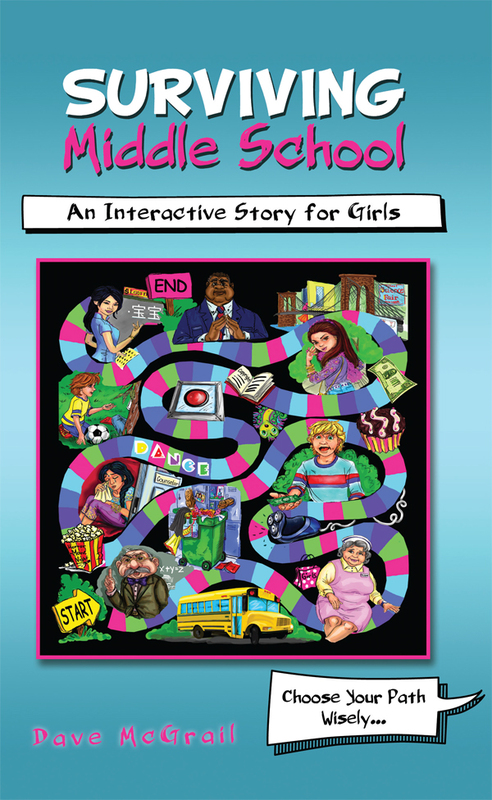 For additional information about this book, visit the website www.survivingmiddleschoolforgirls.com. BFF betrayals, bullies, boys - YOU choose how it all goes down! Middle school isn’t easy. At every turn, you face another tough decision. Surviving Middle School lets you make your own choices and enjoy (or suffer) the consequences. What will you do when . . .
• you and your friend have a crush on the same boy? • your hairy legs make you feel like a gorilla, but your parents won’t let you shave? • the most popular girl in the grade invites you to join her group of friends, at a price? Choose your path wisely. . . . How your story unfolds depends upon the decisions you make. Dave McGrail lives in New York City with his long-suffering wife, Lauren, and his wonderful daughters, Macy (sixth grade) and Delilah (second grade). When he's not writing, Dave enjoys mummifying his kids (on Halloween only), forcing them to sing "Happy Birthday" to Abraham Lincoln every February 12th, and completely embarrassing them by dancing in the street.